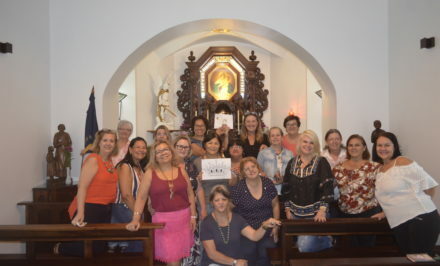 The desires and dreams of all the faithful of the Schoenstatt Apostolic Movement in southern Paraguay of having a daughter shrine in the city of Encarnación, was enkindled this 30 May 2018, the eve of the May 31st milestone, when our beloved Blessed Mother, Thrice Admirable, again gave us a generous “yes” by indicating she wants to establish herself in this city, on the grounds she chose. 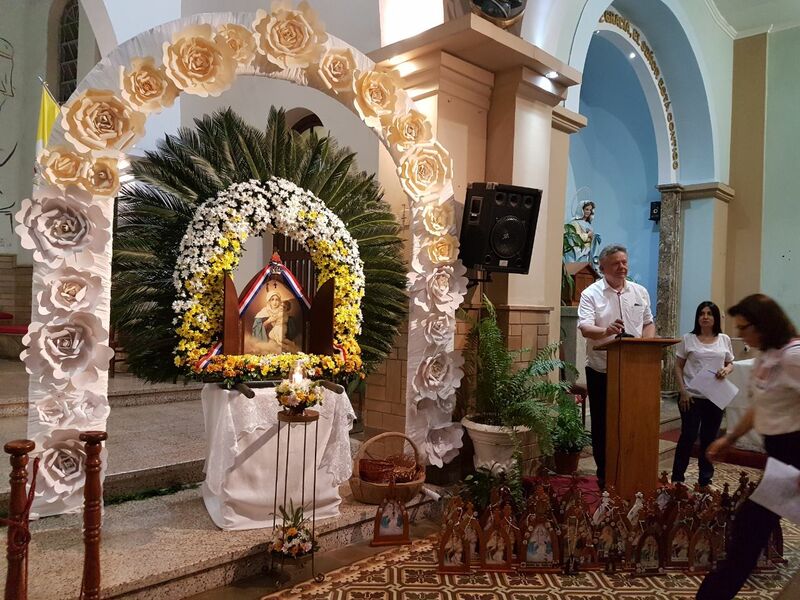 This definitive resolution arrived after almost twenty years since the Movement was established in the city, by the hand of lay advisers Alfredo and Nelly Ramirez, at the request of then city’s bishop. The agreement project to subscribe with the city of Encarnación was accompanied by a large folder with the blueprint of the geographical level and the different construction works and landscaping, with information about the way the wayside shrine as well as the unity cross, a parking lot, sidewalks, a large hall divided for different meetings, and a special structure that would serve as the base of the Shrine of the South, with a small sacristy installed. Architect Jorge Hrisuk, the first leader of the Family Branch of the South, carried out the presentation of the blueprint before the City Council by graciously explaining the improvements that would be made and the time for its completion. In retrospect, Fr. Antonio Cosp accompanied by Blanca and Ricardo Franco and our own carried out the first procedures before the city. The audience with the mayor at that time did not end up with anything positive because of the change in authorities. After a prudent wait and accompanied by Fr. Tommy Nin Mitchell, we went before the new city mayor. This time we could not reach an agreement because of regulatory statutes that prevented the use of the grounds in a free manner, which once again ended with a negative result. 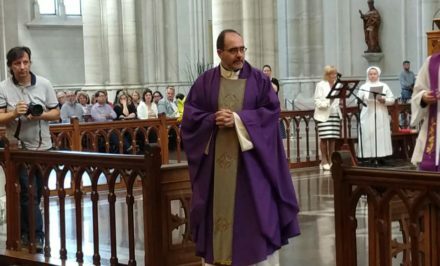 As this process took place, the prayers of countless rosaries, Masses, and a great deal of capital of grace from the entire diocesan Family were accumulated. 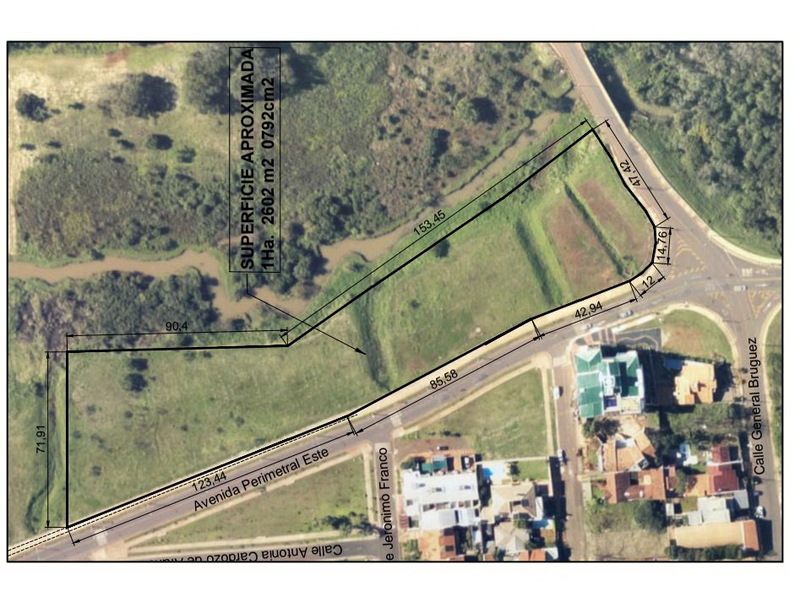 After repeated requests to obtain the grounds for the future shrine, a councilman, a faithful ally of the Blessed Mother, prudently requested grounds located on Avenida Roa Bastos, seaside on the east side, with a surface of 12,600 m2. 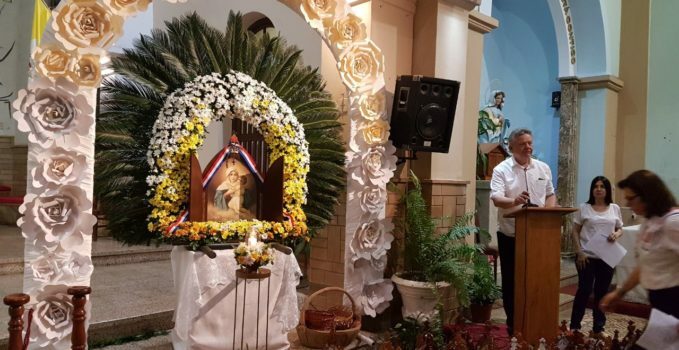 The qualified majority of councilmen approved his petition, last October, with the condition that it would be granted to the diocese of Encarnación. 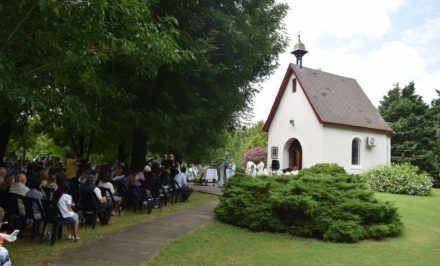 This situation led Bishop Francisco Javier Pistilli, to present a note suggesting that the agreement would be signed directly by the Schoenstatt Father, and that they would take care of the shrine and the improvements projected for the grounds. 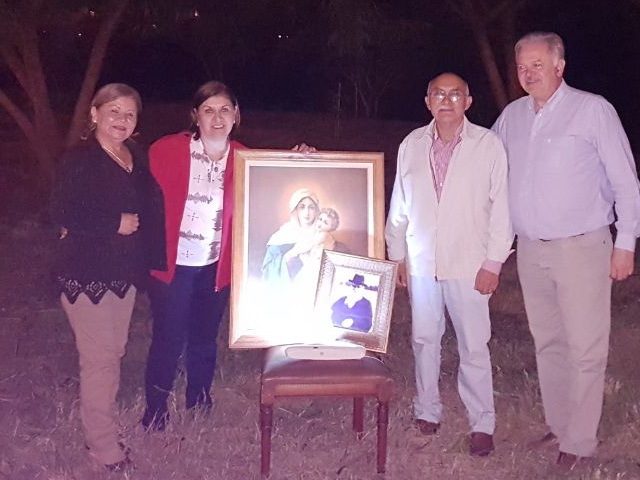 All the necessary information was presented at the council meeting: The pre-agreement and the presentation folder of the Schoenstatt Fathers, signed by Frs. Pedro Miraballes and our adviser, Santiago Cacvelos, accompanied by the projected plan, drawn up by architects Celina and Ivàn Schulz, the Blessed Mother’s allies, and other documents, the buildings and sums for execution by stages of the project. Moreover the Fathers’ magnificent exhibit, the city’s legal advisers’ gave expert opinion, and all the city councilmen’s unanimous approval of the long-awaited future daughter shrine of the south. This approval has constituted a great gift for the entire community of south Obra, with the help of abundant prayers and capital of grace. Filled with emotion and within the context of this May 31st, the Feast of the Visitation and the anniversary of 31 May 1949, when Fr. 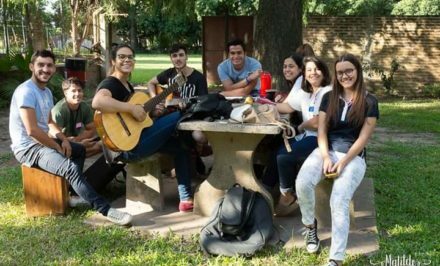 Kentenich daringly offered all Schoenstatt to the Church, and with it the commitment assumed of carrying the mission of our Father and Founder, we have hard work ahead. 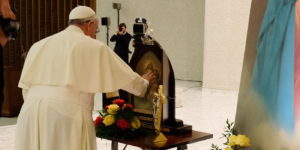 The spiritual conquest of the shrine will be done steadily and without faltering, with the motto: “Let us make this place a home for our beloved Blessed Mother,” keeping in mind Fr. 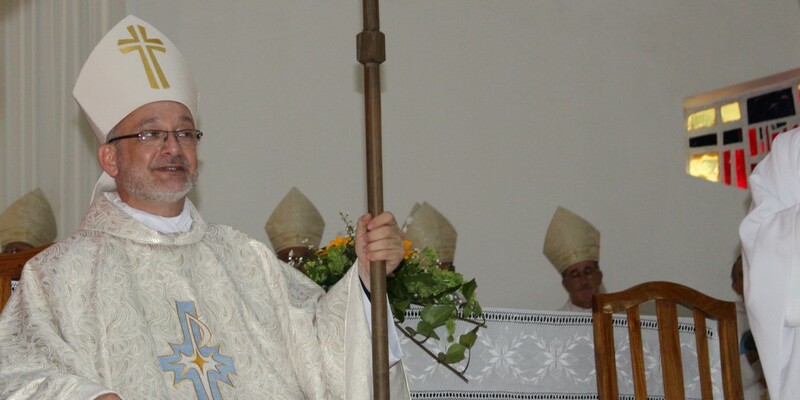 Kentenich’s gaze, from the city of Posadas, in Argentina, he looked over at Paraguay, precisely toward the city of Encarnación.